Lionel Messi of FC Barcelona looks on during the La Liga match between Barcelona and Deportivo La Coruna at the Camp Nou stadium on April 14, 2010 in Barcelona, Spain. Barcelona won the match 3-0. 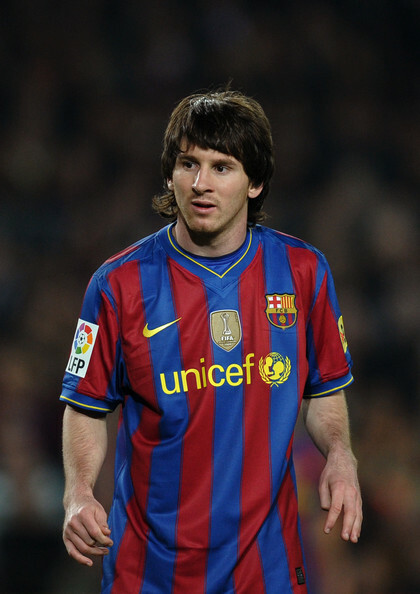 Lionel Messi is known for his signature long hair.